Mr. Lucky and the Gamblers: "I Told You Once Before" In the mid-'60s, a surprising number of American bands went in for the moody, organ-drenched minor key musings and whispery Colin Blunstone vocals as found on The Zombies' singles "She's Not There" and "Leave Me Be," including Phoenix's Phil and the Frantics, Wilmington, Del. quintet The Enfields, and The Live Five, out of Salem, Ore. One of the best ersatz Zombies cuts is also a product of the Pacific Northwest, courtesy of Mr. Lucky and the Gamblers, from outside Portland. Just one listen to 1966's "I Told You Once Before," the B-side of the garage raver "Take a Look at Me," and it's clear that Mr. Lucky and the Gamblers came up with a winning hand on this song that bears a not-quite-litigious similarity to "Tell Her No." The Redcoats: "The Dum Dum Song" One more entry in the longstanding tradition of Yank combos with Brit-evoking names, these bogus blokes, from Wildwood, N.J., were led by John Spirt, who had a 1963 novelty hit with the Ran-Dells' "Martian Hop." Around 1965, Spirt recruited brothers Zach and Randy Bocelle into his new Beatles-inspired group, to which they contributed an uncanny simulation of the John-and-Paul vocal style. This went hand-in-hand with a plethora of Fabs-formula songs written by their leader with bandmate Mike Burke, most of which went unreleased until 2001's Meet the Redcoats! Finally collection. One track that actually did see the light of day in '65 was a release on Laurie Records of "The Dum Dum Song." And unlike most of the Redcoats' musical output, this one is a Herman's Hermits meets Herman Munster frankensong that manages to out-Herman Peter Noone himself, for what that's worth. Randy and the Radiants: "A Love of the Past" It's a shame these Memphis boys with a mean British fetish never made it big. They may have been hampered by being signed to their hometown Sun Records label in its waning days, which was more suited to promoting the likes of pompadoured '50s rockabilly cats than this group's inspired Anglophilia. "A Love of the Past," like all but four of the tracks on the collection Memphis Beat: The Sun Recordings 1964-66, never saw the light of day till 2007. It's a crying shame, as this tender beat ballad takes the listener on a Gerry and the Pacemakers ferry cross the, well, Mississippi, in this case. 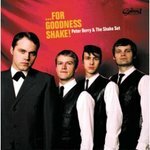 Peter Berry and the Shake Set: "In Lonelier Days" This perfect re-creation of a Billy J. Kramer and the Dakotas record, even down to the "Bad to Me" spoken introduction and George Martin-esque piano solo, also only saw release in 2007. But at least this Norwegian beat group has an excuse: Despite every little thing indicating that they're from 1964, Berry and the boys are actually a modern-day combo. This particular tune, as well as the rest of the tracks on these Norsemen's second LP, ...For Goodness Shake!, was recorded in glorious monophonic sound on the vintage equipment at Liam Watson's Toe Rag Studios in London. Nice, Gaylord. I used to listen to a program on WNTI out of Hacketstown called "From Mersey to Jersey" that was full of this stuff. Direct ripoffs, yes, but still gems owing to the strength of the originals. That Redcoats track is more of a rip of Herman's Hermits (which were partially a rip of you know who). I would have bet the ranch it was HH. Sam, you must have skimmed over the text. The focus of this installment of "Fake Beatles" is soundalikes for other British Invasion bands. 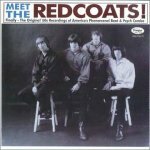 I point out quite explicitly that the Redcoats track is a Herman's Hermits doppelganger.